Spring is here, and we will be teaming up again with our friends from the MilwaukeeMINIs club for a fun drive on some fun Wisconsin back roads. Send links to photos and videos to steve@chicagominiclub.com? and we will link them in here. WRAPUP: We had 26 racers participating, and a few spectators.. The track layout has been recently modified and was very challenging.? We ran in 3 groups with some unfortunate delays due to timing issues and?other groups sneaking in ahead of ours, but a fun time was had by all.? Fast guy of the day was Steve at 36.256 closely followed by Gary with a 36.328.? Fast gal was Reese with a 37.948. Photos by: Dan |?Steve & Gary |?? 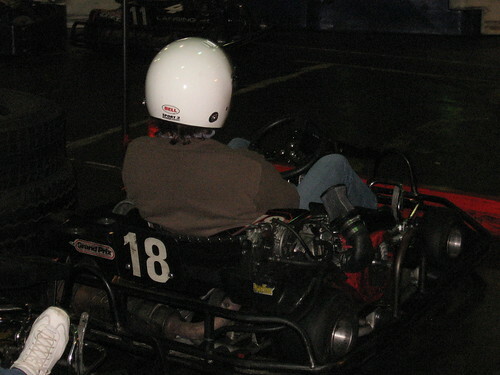 January is Kart racing time for the Chicago MINI Motoring Club. 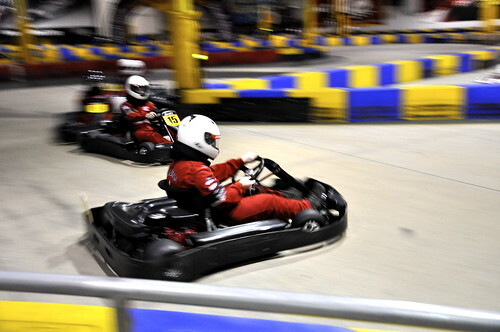 Kick the winter blahs by driving a vehicle that has even more go-kart like handling than your MINI!! WRAPUP: What a fun event!! We had over 30 MINIs (and a Mini) of every size and style fill the back parking area at Superdawg. There were many new and potential club members, and lots and lots of old friemds. 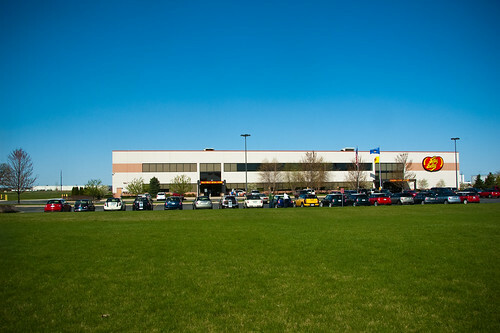 Several club members even showed up in brand new MINIs, and many cars came in from Wisconsin, as well as Aurora, DeKalb and other far away places. Kevin from MINI of Chicago brought in a suprise Hot Dog topped Countryman. Our friends Motoringfile even stopped by and showed off a couple cool new and old BMWs. Weather was warm, but fine for hanging out and visiting until the very late hours. Huge thanks to SuperDawg for being such great hosts to our club, including giving out some drinks and extras, to Kevin and Mark from MINI of Chicago for bringing in the Hot Dog Countryman, to Arnie for helping with all the arrangements, and to everyone who came out to make it such a wonderful event and evening!! Send links to photos to steve@chicagominiclub.com , and I will include them here. WRAPUP: A beautiful day brought out about a dozen people or the Seminar. We learned that diferent types of scratches required different techniques, and to use the technique that causes the least amount of wear on the clear coat to get the job done. We are able to practice using claybar and hand polishes, and also use an orbital polisher to take deeper scratches out of a practice hood. Afterwards we were treated to burgers and brats and we were even given a goody bag with some sample products. Huge thanks to Jim and his crew at Dr. Beasley’s for spending the session demonstrating techniques and answering all our questions, and to Greg and his Smartbox crew for hosting the event and providing and cooking up all the great food for us!!! 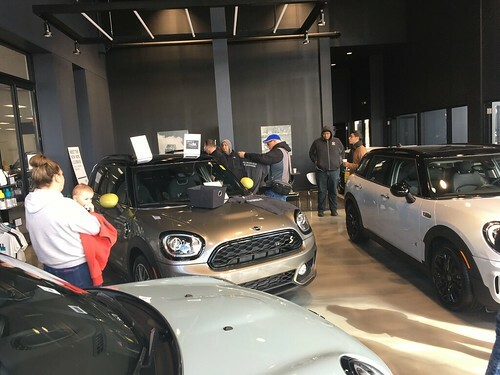 Lots of people have questions about how to best keep your MINI looking like new, and we are going to have the answers..
WRAPUP: 22 participants came out to enjoy some intense racing. We had a few new people and a bunch of regulars were broken up into two groups. There were some thrills, chills, bumping and grinding, and a few short tanks of fuel, but we got a bonus longer race at the end to make up for it. A fun time was had by all. Fast lap time of the day goes to Steve R. at 22.76 closely followed by Ken E. at 22.82.